A Jew Broad Cooks | A blog about movies, food, books, and life. 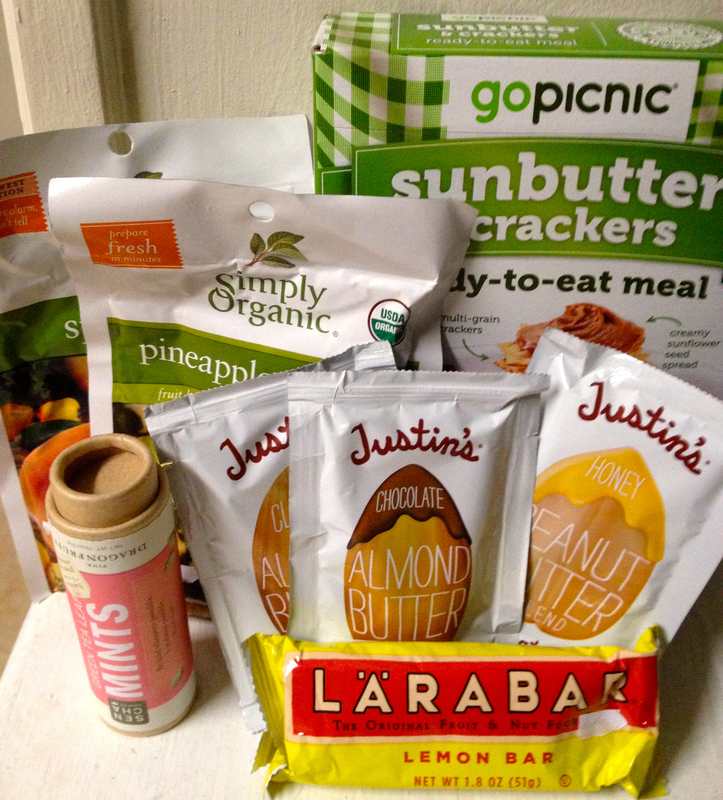 This month’s foodie pen pal box was sent to me by Jen at Allergy Lane. She has a great site talking about the food and environmental allergies that her family has. I was super excited when my box arrived and I had JARS :). I got three jars filled with wonderful finds. The first jar was filled with lemon mint sugar. This will be awesome for cookies and other baked goods when it gets cooler. Next up was home made mint extract! I’ve seen recipes for making my own extract, but hadn’t tried it before. I was super excited to get this. 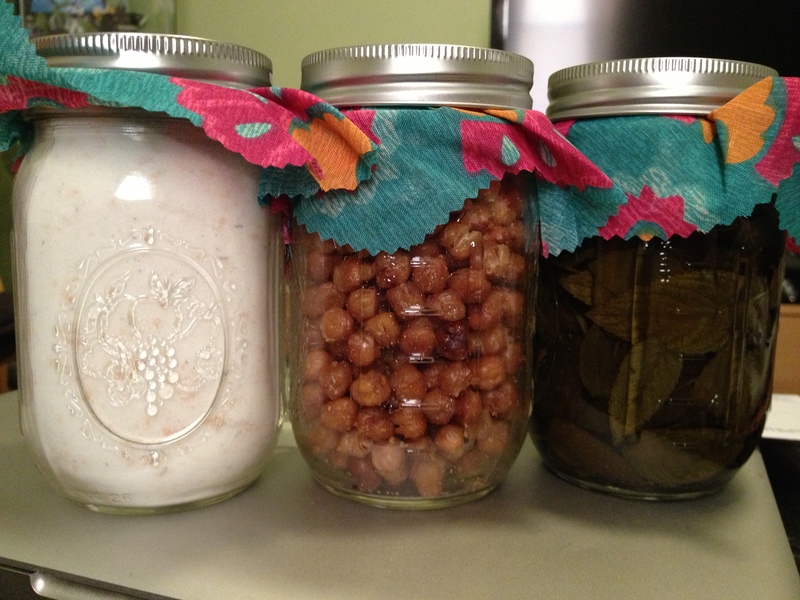 And my third jar is “cheesy” roasted chickpeas. I LOVE LOVE LOVE roasted chickpeas. I’ve made mine spicy, so this is going to be a new treat. Thanks again to Jen for her great box. Posted in Miscellaneous and tagged dietary restrictions, Foodie, lemon mint, Pen pal, roasted chickpeas. Bookmark the permalink. 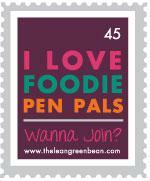 I again participated in this month’s foodie pen pal program. My pen pal this month lives in California. I was hoping for some local items, and she did not disappoint. I was sent produce! I didn’t even think about sending real fruits when doing this program, but this lady did. I got a nectarine, avocado, and an orange. On top of that I got some dried snap peas, tomato pesto sauce, Tobasco, tea, popcorn, and a mixture of nutritional yeast and pepper. The note she sent said she puts the nooch on her popcorn. It’s funny as I do that already!!!! It’s like she already knew me. The foodie pen pal that I sent to does not have a blog, so she asked if I wanted a write up from her end. I always want to hear what my pen pal thinks of my food, so I was HAPPY to oblige. 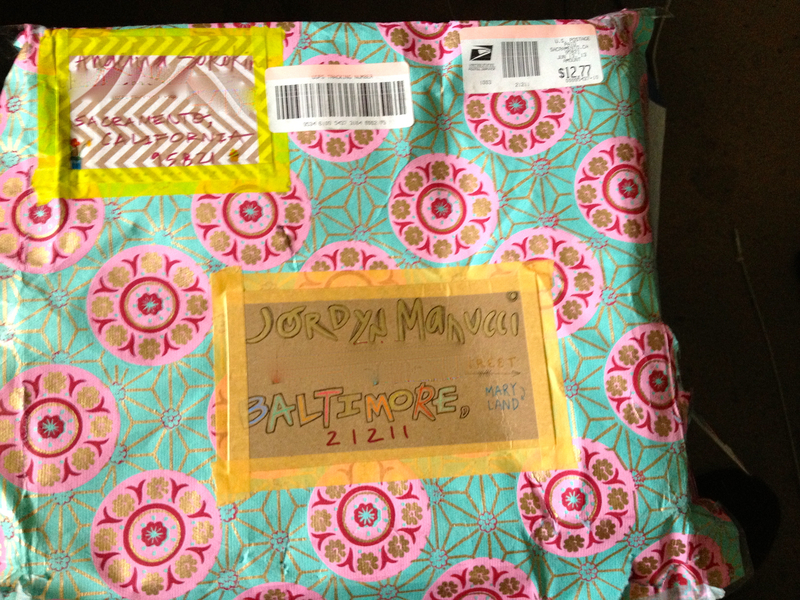 Hi, I’m Geneva and I received the July Foodie PenPal Package from Jordyn. The first item I pulled out was a jar of homemade applesauce. I could only imagine the wonderful bread it would make and I was not disappointed. I served it at a brunch I had for 6 of my girlfriends. They all raved about it and wanted my recipe. I gave it to them, but explained that the star ingredient was a gift. Next I pulled out a jar of homemade coconut, almond cranberry granola. I eat a lot of yogurt and I love to add something crunchy. This was perfect. I am trying to make it last as long as I can, but I find myself dipping into the jar whenever I walk past. One of my favorite candies is taffy. I received two big boxes of taffy in the box. I will be treating myself for quite awhile. Next I opened a bag of Simple Balance multigrain salt & pepper crisps. These savory, crunchy chip-like snacks went into my snack drawer at work. Salt & Pepper snacks are my favorite. I am really amazed that you picked some of my favorite things. The last item in my package was a bottle of great tasting hot sauce. It has been used in several marinades already. I also used it on an omelette I made last Sunday for breakfast. Jordyn you really did a wonderful job on putting together a package of goodies I will enjoy for quite awhile. Posted in Miscellaneous and tagged Foodie, Pen pal. Bookmark the permalink. I love my neighborhood. Since having moved into Hampden proper, I’ve really been trying to take advantage of everything it has to offer. One of the most amazing parts is “The Avenue“. While touristy, it’s also really fun for locals as well. There are plenty of shops and really amazing restaurants. But one thing that has been missing in the neighborhood has been icy treats. Well, now there is a new shop in town. The Charmery opened up this past weekend. 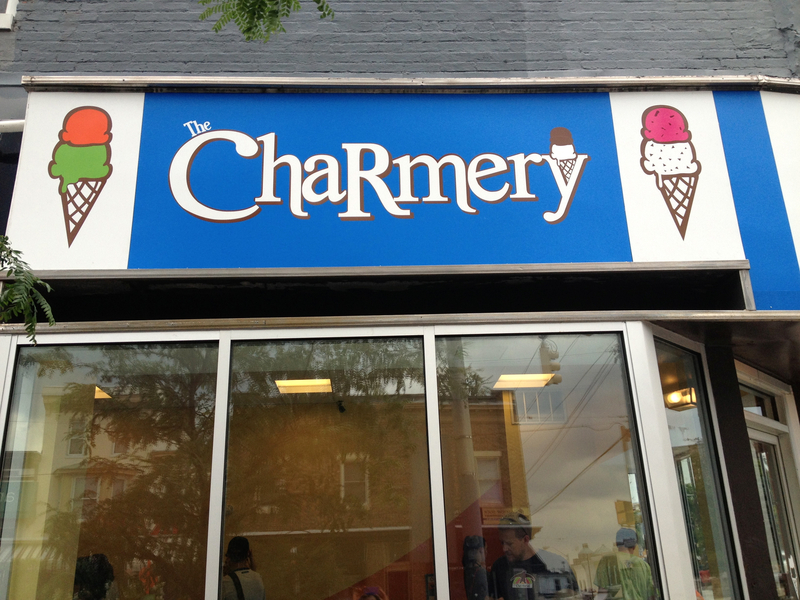 If the crowds on Sunday at 5pm were any indication about how much the residents in Hampden were excited, I’d say that The Charmery will have no issues. All the ice cream is made in store. The dairy is locally sourced as is most of the other ingredients. They definitely do a nod to Baltimore style flavors including an Old Bay caramel flavor and a Berger cookie flavor. But what I found MOST exciting is that the store is offering vegan options! After having some regular ice cream for the first time in a very long time two weeks ago and having a violent reaction (SORRY! ), I was really happy for this option. The option(s) could be a sorbet, a home made soda, or even coconut milk ice cream. Luckily for me they had the coconut milk ice cream! The flavor was toasted coconut, and it was DELICIOUS. 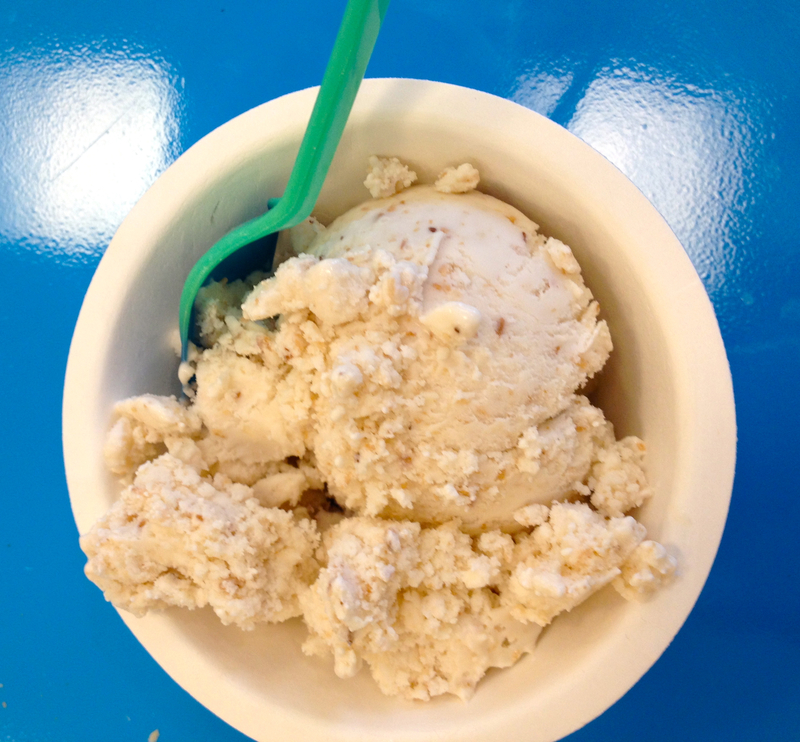 The texture is not as solid and creamy as what traditional milk ice cream would be, but it’s still so good. The single scoop was for sure enough for one person to eat. The ice cream was still so rich due to the fat content of coconut milk, plus the toasted coconut adds an interesting texture and deeper flavor to the cream. I was told that the cones are currently not egg free, but they are working on getting a vegan option, plus they are working on creating their own vegan chocolate sauce. I’m SUPER stoked to see this place grow. Posted in Miscellaneous and tagged Baltimore, Berger cookies, coconut milk, Hampden, Ice cream, Old Bay Seasoning, The Ave. Bookmark the permalink. Sorry it’s been so long since I’ve posted. I’ve had a bit of an issue with inspiration. Plus we had a wasp issue. Yeah… But, I get to share with you the most AMAZING box I got! This month I got a box from this amazing girl named Angelina. She’s 21 years young and is studying to become a graphic designer. This is all apparent in the box she sent me. It all started with the wrapping on the outside. I have never received a package that’s decorated on the outside! Inside the box I got lots of new gifts! There was a note about who Angelina was. There was a great recipe to make my own banana chips. 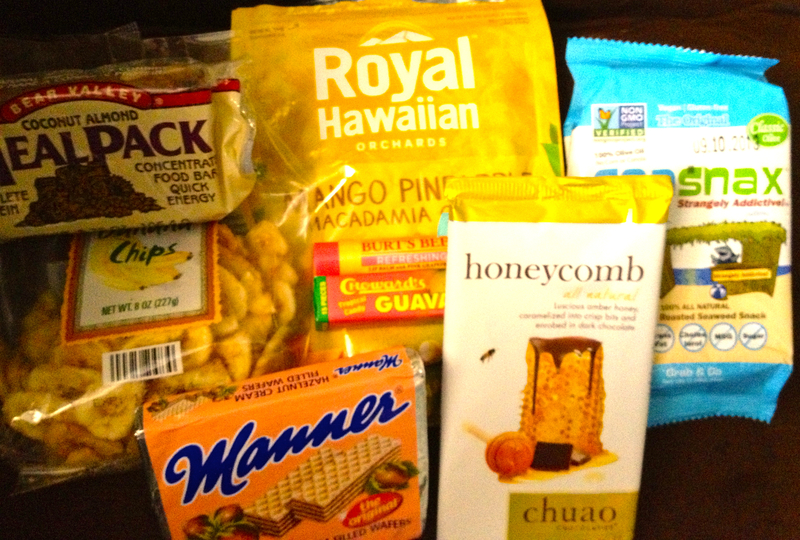 And then the food… There was seaweed snacks, banana chips, these AMAZING mango nut crunch snacks, Burts Bees chapstick, this meal pack, hazelnut wafers, and guava candies. 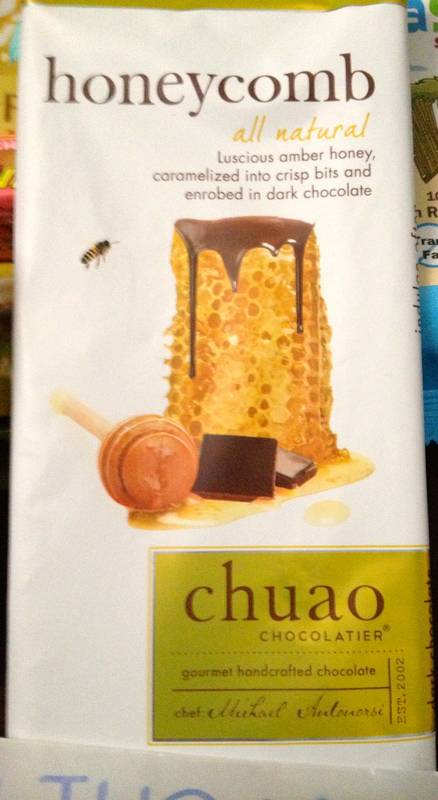 The most awesome part was this chocoate covered honey comb. I am saving it for a fierce sweets craving. It looks absolutely amazing. If you have ever thought about doing the foodie pen pal program, this box should convince you that you DEFINITELY should. Posted in Miscellaneous and tagged chocolate, delicious, Foodie, PenPal. Bookmark the permalink. So, it’s been a few weeks since my original post on my garden. Things have mostly taken off. The seeds that I planted are only kind of working. No signs of beets or carrots yet. Here’s hoping they will show at some point. Also, I think the heat from last week seems to maybe have killed one of my hot pepper plants and my garlic maybe. But some of the tomatoes have gone CRAZY! Also, you can see the yellow squash growing!! Posted in Garden and tagged Garden, Plant, Seed, Vegetable. Bookmark the permalink. 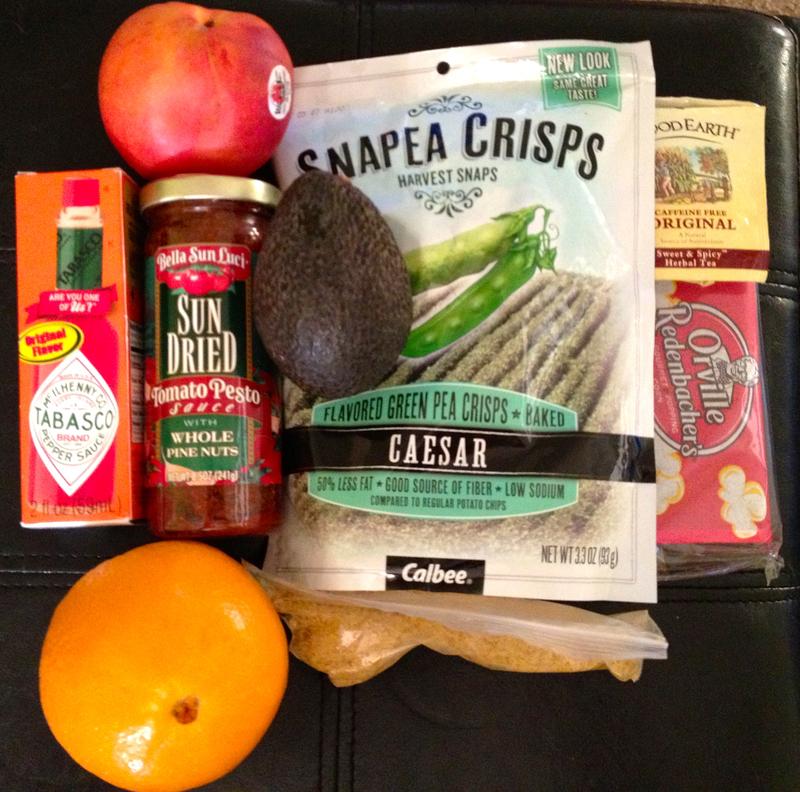 Another month, another great foodie pen pal box. This month I sent my box to someone in New York. 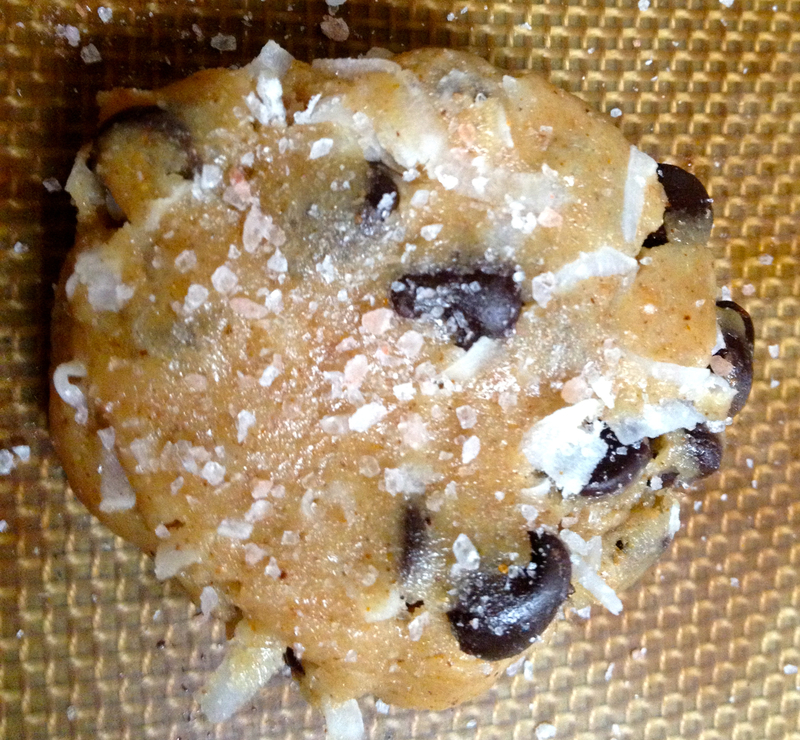 She got the Spicy Chocolate Chip Cookies (the coconut and salted kinds). This month, I got a box from Dawn over at Spatulas On Parade. First off, I don’t know HOW she knew, but I puffy heart love the Lemon Bar flavor of the Larabar. So delicious!!!! I also love the Justin’s single serve almond and peanut butters. They are perfect for race day or travel in general. If you’ve ever gone to a race not in your town, these are PERFECT for a pre-race breakfast. The Sunbutter crackers/replacement meal looks super interesting. I’ll have to pack it on my next super long day. The mints are tea flavored and are sweet, but not overly sweet. Perfect. And lastly, the two spice packets. I can’t wait to use both! Thanks again to Dawn for her great box. – Foodie Penpals is open to US, Canadian residents & UK residents. Please note, Canadian Residents will be paired with other Canadians only. Posted in Miscellaneous and tagged chocolate chip cookies, Foodie, Larabar, Pen pal. Bookmark the permalink. So, I have now served these to three different audiences (and my husband as well) and everyone loves them. I’ve made a few different versions of the cookie thus far and think I have the best option figured out. I promise no one will know that these are vegan. 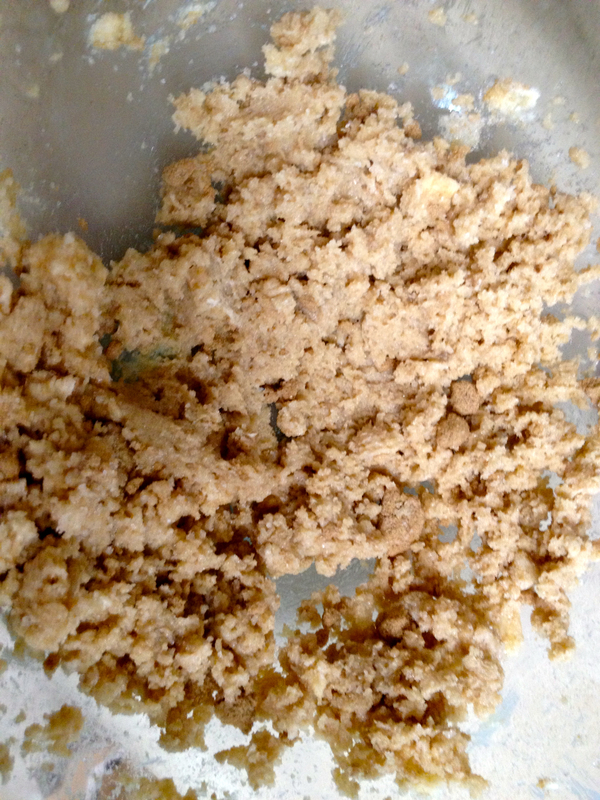 Remember to just not skimp on the fat (vegan butter) part of this, as that is what helps make the cookies so darn good. Add in the egg, milk, and vanilla. Beat the mixture together well. 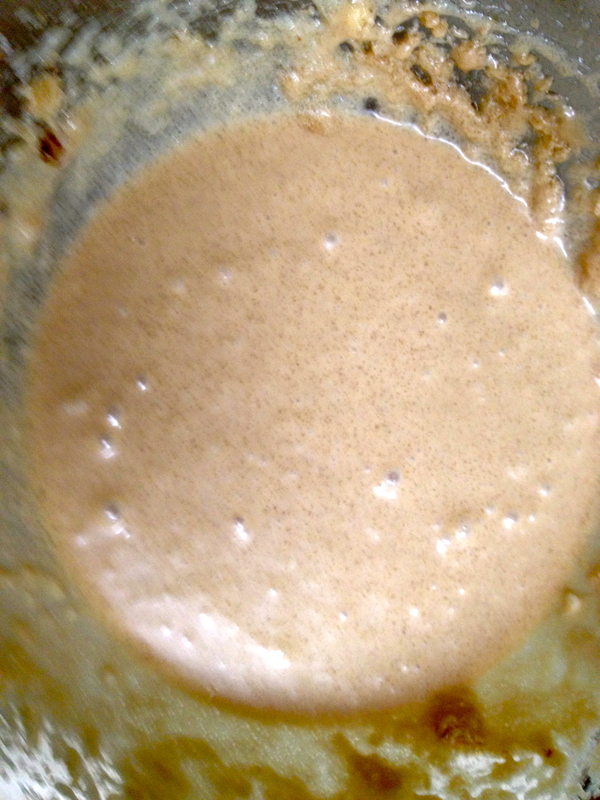 If using Ener-G egg replacer, add the 1 1/4 tsp of dry mixture to the milk with an extra two tablespoons of milk. Add in the baking powder, cayenne, and cinnamon and mix well. Finally, add in the whole wheat flour and mix. Then add the white flour a half cup at a time. Mix slowly. 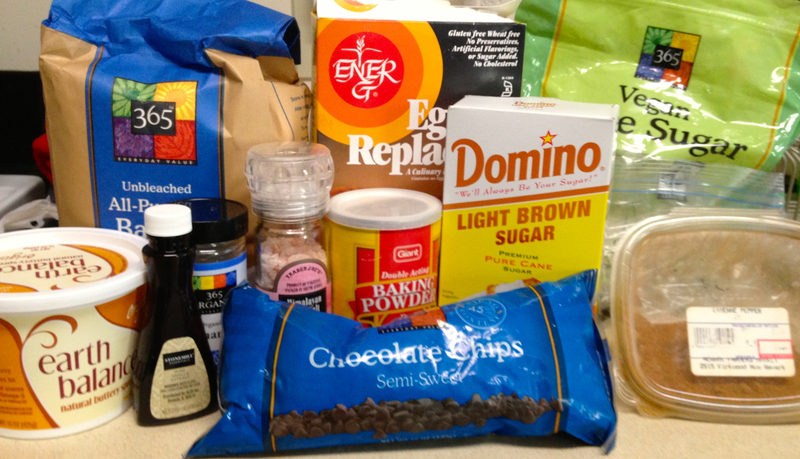 Add in chocolate chips and any other of the add ins that you want. Refrigerate your dough. It will make scooping the dough so much easier. 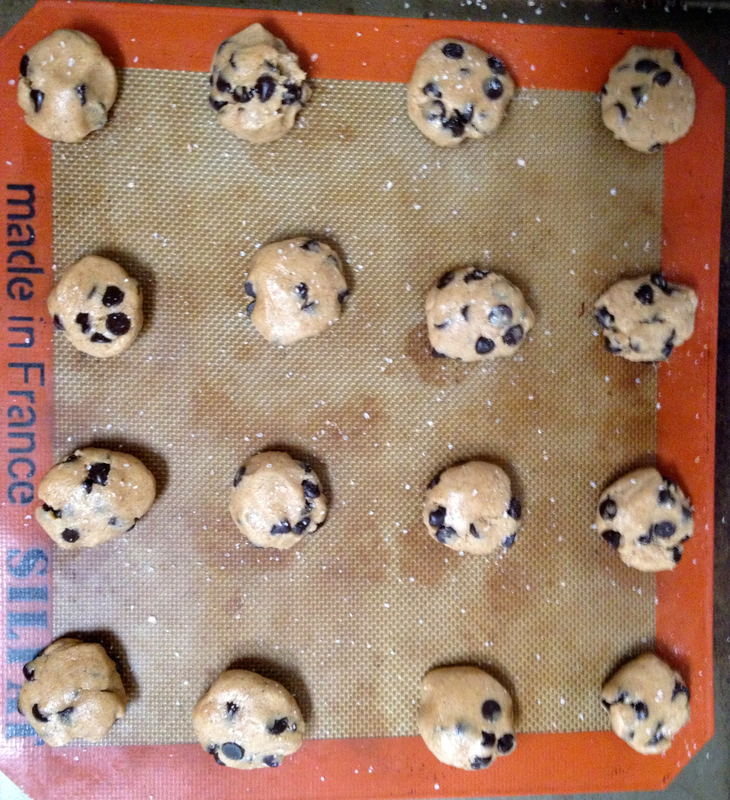 Heat the oven to 375 F. Place the cookies about an inch to an inch and a half apart from each other. 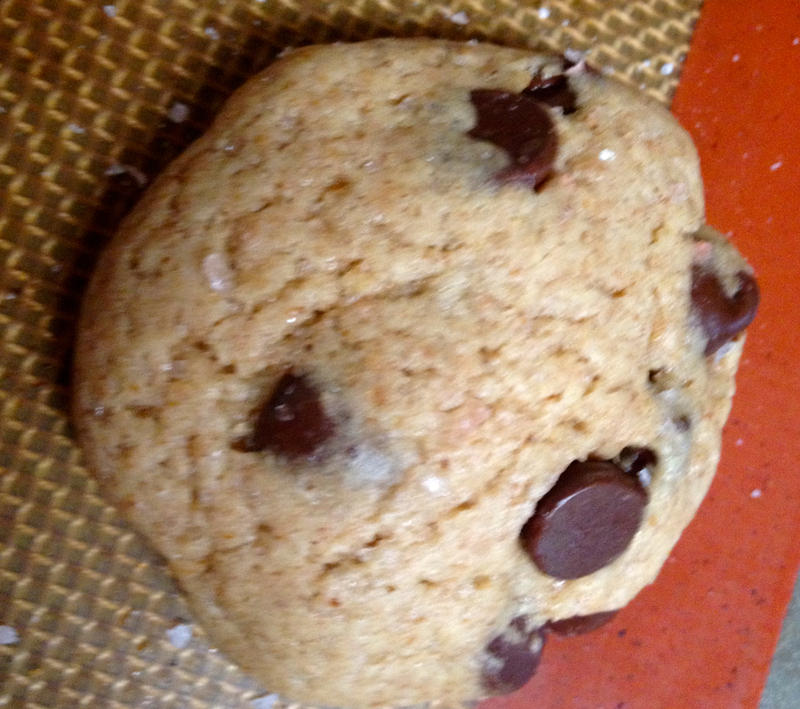 If you cook on a silicone sheet, it will make removing the cookies that much easier. Cook for 15 minutes. The cookies won’t brown so much on top, so no worries about that. Allow the cookies to cool then enjoy! As for the options, I’ve found that using a full 1.5 tsp of cayenne pepper and chopped hazelnuts are the best option. If you don’t want to add nuts, I’d suggest using dark chocolate with some Himalayan salt sprinkled on top. Any way you have it, they will be delicious. Other options may be to try using some tofu or apple sauce instead of egg or the Ener-G. Also, try using coconut oil instead of the butter, which may work as well. 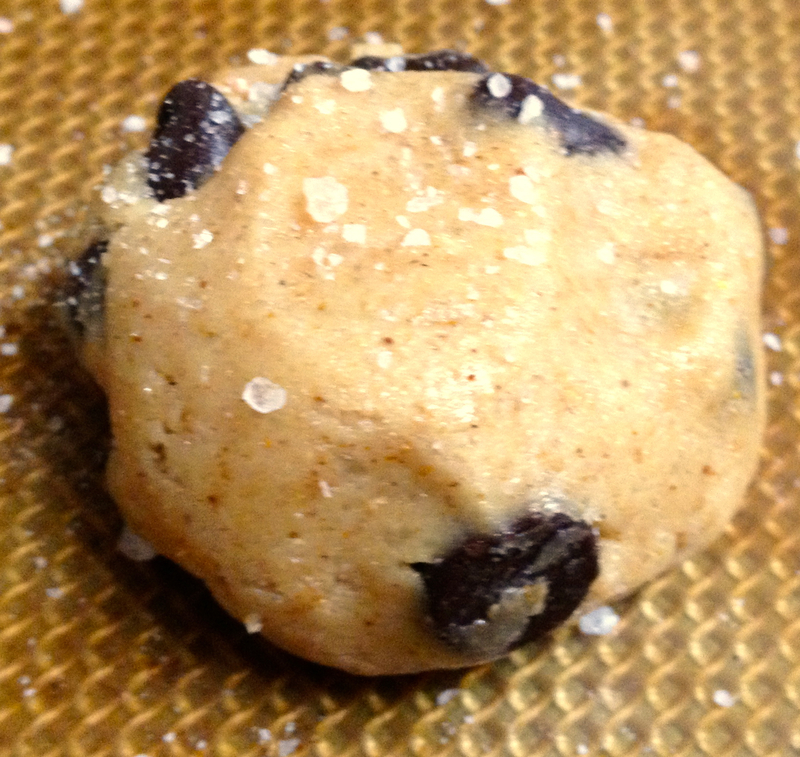 Posted in Recipes, Vegan and tagged cayenne, Chocolate chip, Coconut, Cookie, Flour, hazelnuts, salt. Bookmark the permalink.